"I love it , love it, love it. 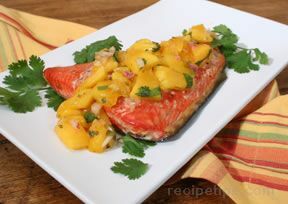 The salmon was moist & tasty !" 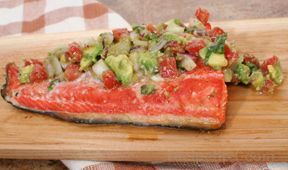 "I didn't have a cedar plank, so I cooked the salmon directly on the grill (for only a few minutes). 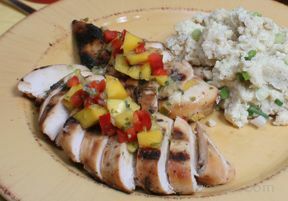 It was quite good, especially with the excellent mango salsa. Next time, I'll try it with the plank--sounds like a great idea."